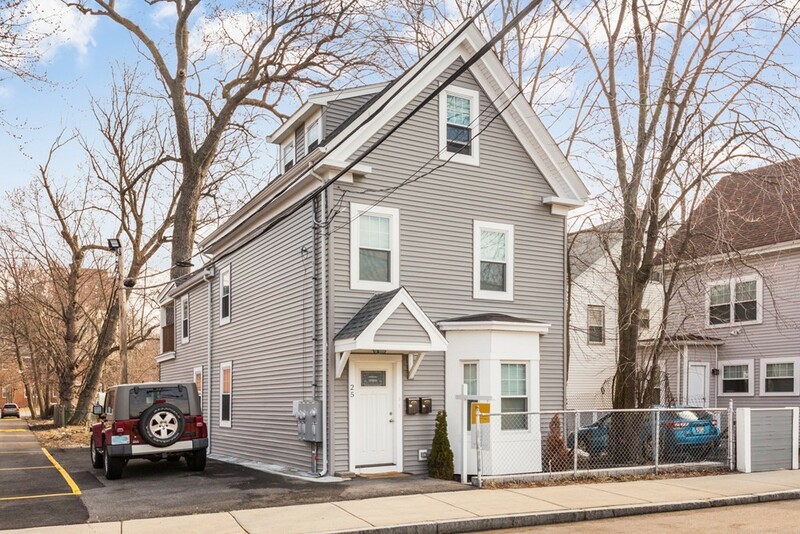 TOTALLY RENOVATED 2 FAMILY WITH ADDED DORMER! Solid 2 family consisting of (1) 3 bed 1 bath and (1) 4 bed 1 bath on 2 levels! Units feature condo quality finishes throughout, beautiful kitchens with white cabinets and ss. appliances, gleaming oak hardwood floors, designer baths and central A/C. Bedrooms are spacious with great living room space and unit 2 has two levels! Prime location, easy access to Jackson Square Orange Line T. Gross annual rent is $63, 900! Rents are under market! Do not miss!